Our focus is on your success! 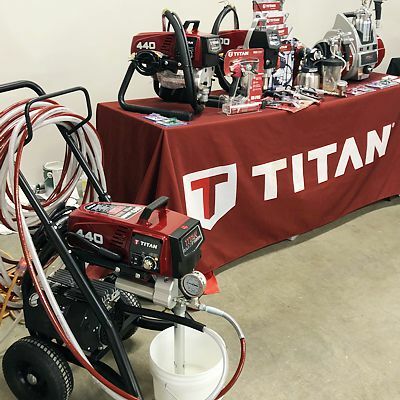 We host vendor sponsored events and training classes to help contractors have the knowledge, tools, and certification needed to succeed in the ever-changing construction industry environment. Contractor events include vendor sponsored coffee breaks and summer barbeques at various retail locations. These events give you the opportunity to learn about new products with hands-on demonstrations and ask questions. We also have an annual Contractor Appreciation Night to thank customers for doing business with us. 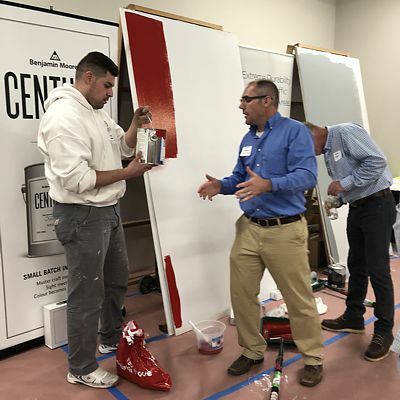 Training classes are hosted monthly in our training room upstairs at our store location at 245 Oakland St in Mansfield, MA. Classes are open to both customers and non-customers, but all require that you register with the specific training company for their class. You're invited to join us for an exclusive evening for members of the trade. Enjoy appetizers and beverages, enter drawings for prizes, browse the latest products from trusted vendors, and connect with like-minded contractors while browsing the latest kitchen designs. 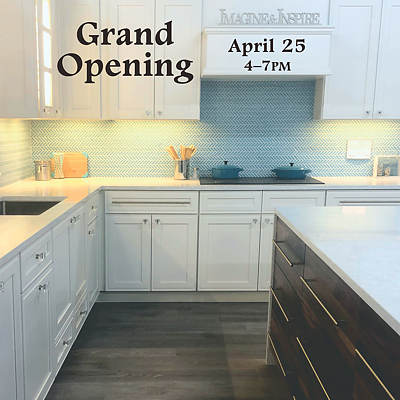 The new Kitchen Views showroom in Mansfield is part of National Lumber Home Finishes, a one-stop location for everything needed to put the finishing touches on a home. Bringing together the quality products discerning homeowners want with the services of experienced kitchen designers, interior designers, color consultants and paint experts, who become part of your team. Builders and remodelers — send your clients to get everything they need with product experts and designers to guide them in our showroom. Interior designers — send your clients or come with them to select cabinetry, countertops and other products. Paint contractors — make your work easier by sending homeowners for color consultations to select the palette and then place your paint order for delivery directly to the jobsite. Don't miss this exclusive event to learn how we can make your business more profitable. RSVP Now! 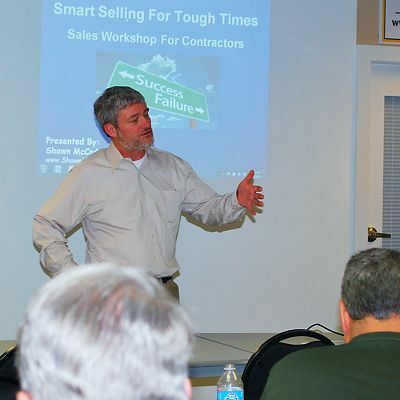 As a service to our contractor customers, National Lumber hosts and sponsors important educational classes monthly, which are not only informative, but also help to provide contractors with the requirements for new licensing requirements. Construction Supervisor Licensing (CSL) CEU's is the most popular training, and other training classes such as for EPA RRP lead-safe certification, are available periodically. Vendor sponsored coffee breaks and summer barbeques are hosted at various retail locations. Enjoy hands-on demonstrations and ask questions. Then have some great free refreshments or lunch. 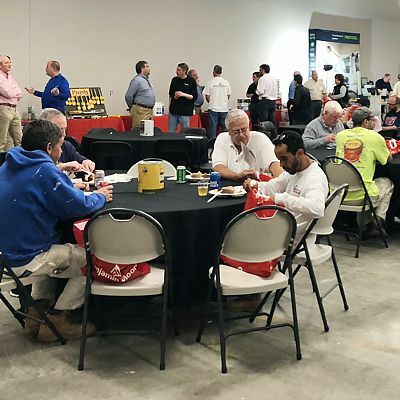 Special events are held periodically, like the Painters Pro Show, shown above with a slideshow including with a painting demonstration, vendor booths, and guests enjoying food at tables. 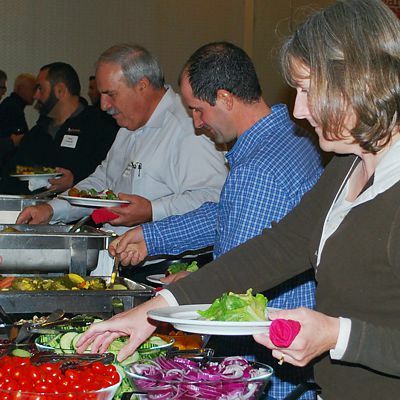 Our greatly anticipated Contractor Appreciation Night is held annually in the fall to thank customers for their business. Vendors sponsor this huge event for the enjoyment of our customers. 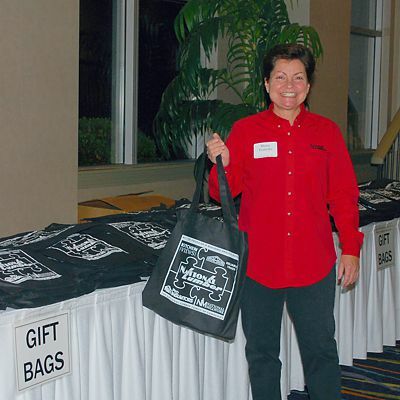 Guests are welcomed at the registration area and given a gift bag. There are vendor booths where guests can see new products and ask questions, the buffet dinner is always delicious, and raffle prizes are given at the end of the evening. © 2019 The National Lumber Family of Companies, Headquarters 71 Maple St, Mansfield, MA 02048. All rights reserved.